Inspiring the people you love has never been more fun! 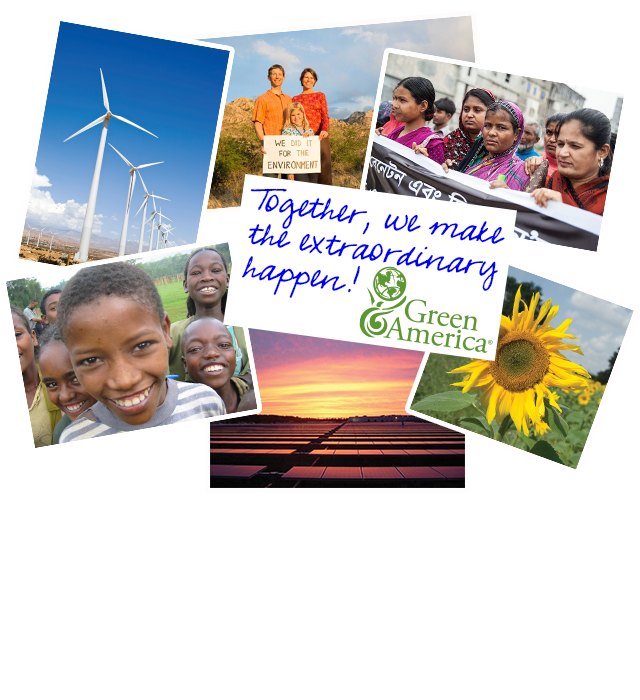 Please invite your friends and family to join a group of more than 250,000 thoughtful individuals who call themselves Green Americans. Together, we can create a more just and sustainable world. The more gifts you give, the more you save. The first gift is $20—the second, third, fourth are just $5 each—and the fifth gift is FREE. Enter the email addresses of your gift recipients and we'll send them an email notification of your gift today. How many gift memberships you would like to give? Gift Memberships include one year of benefits. Your donation is tax deductible.